The Moose Jaw area has some interesting railway bridges, but we're a bit unsure about that roadbed. Long time WMRC member and award winning photographer Felix Lesiuk sent us these great images from his recent trip to Moose Jaw, Saskatchewan. 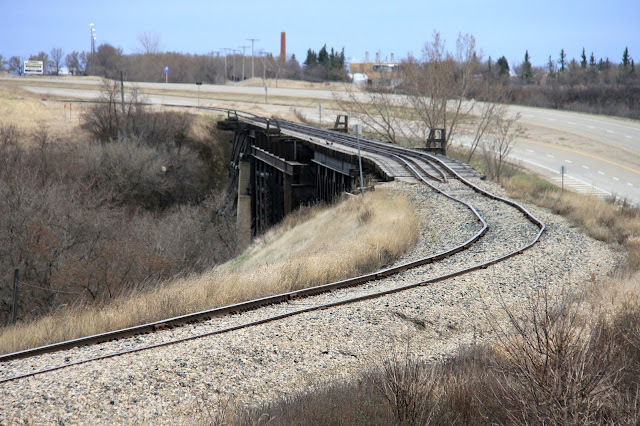 He captured some fascinating photos of the bridges in the area that he wanted to share with us. Felix is a retired school teacher who is also the current president of WinNtrak. 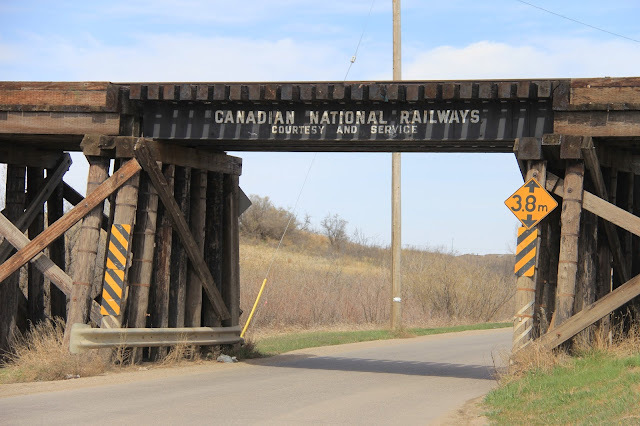 Anyone who has seen his photos knows that he loves to take photos of bridges, under bridges, or over bridges, especially when there's a train going over them! But this time out he's concentrating just on the beauty of the bridges that the railways depend on to haul their freight across the nation. Enjoy! 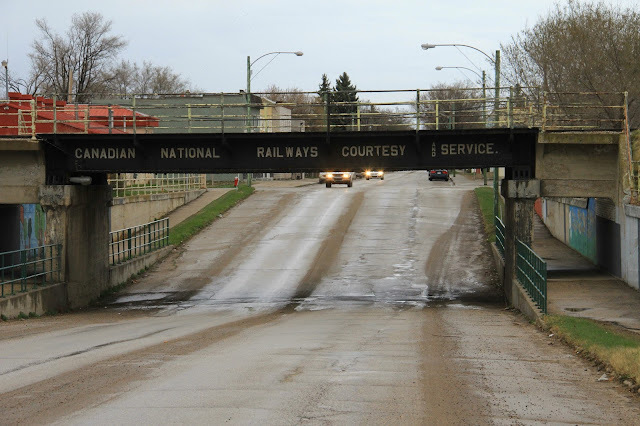 Anyone who has visited Moose Jaw has drove under this bridge more than a few times! 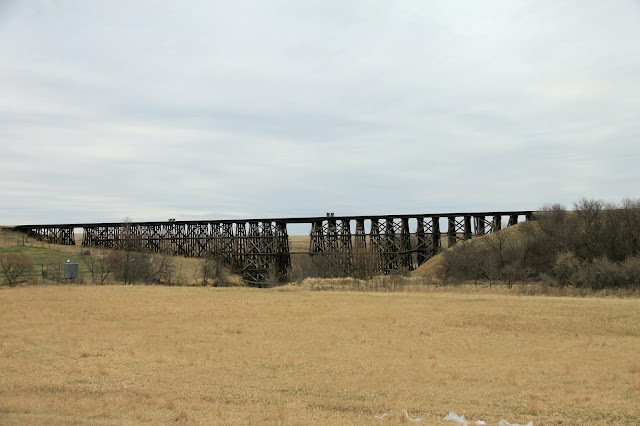 A surprising long wooden trestle on the CN lines outside of Moose Jaw. 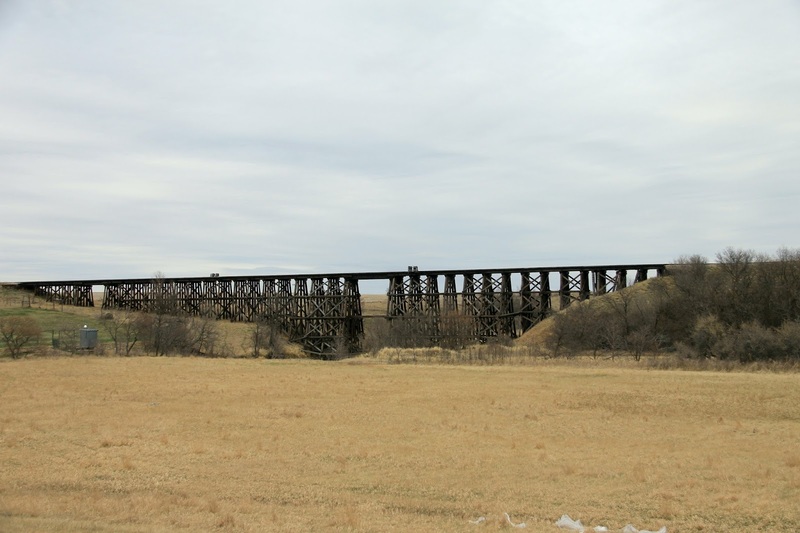 Another well preserved wooden trestle, with a bridge crossing a road on the outskirts of Moose Jaw. I recognize three out of the four bridges! I understand CN does NOT go over that top bridge and the local shortline very gingerly tiptoes over it. We did not know that! Thanks for the heads up, Steve!